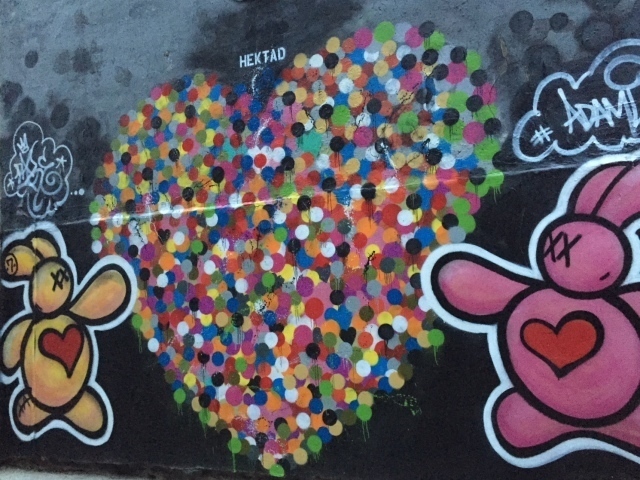 For Valentine's Day I went through my pictures and made this list of the 11 best love and hearts streetart that I have come across in New York City. 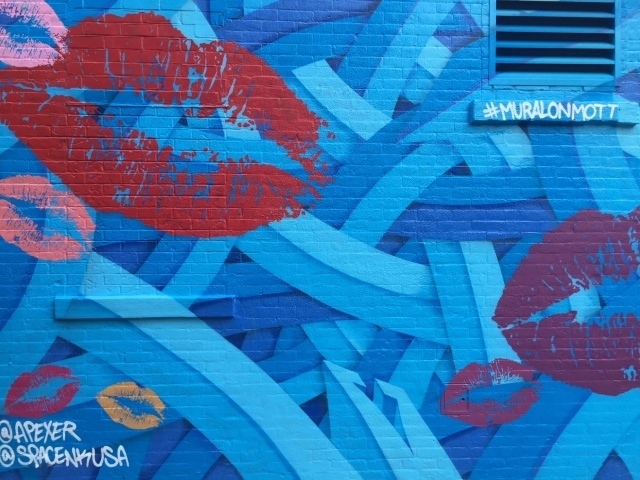 Most of the murals in this list are in the Lower East Side, Soho and Nolita area. 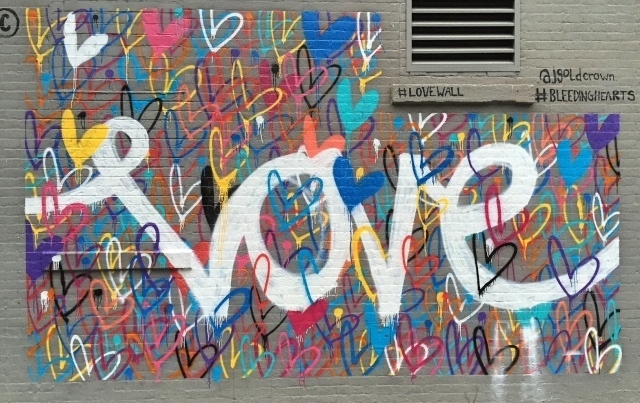 James Goldcrown's #LOVEWALL #BLEEDINGHEARTS murals are found all over NYC. I came across this one on Prince Street. 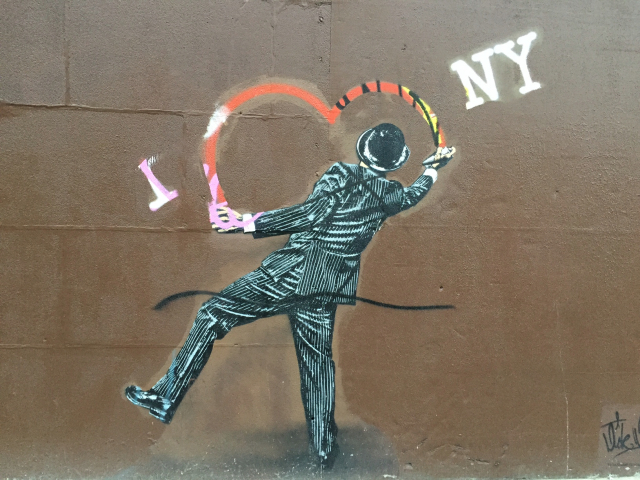 One of my favorites, this English Gentleman, writing I heart NY by Nick Walker can be found on Ludlow, near the Tenement Museum and MOSCOT on Delancey Street. 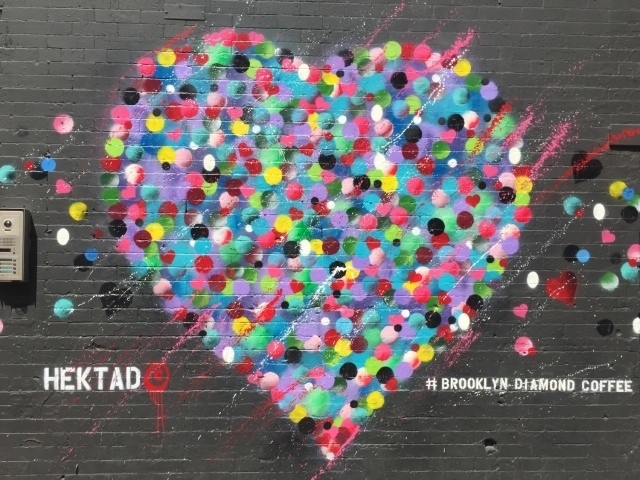 I saw this heart by HEKTAD outside the Brooklyn Diamond Coffeeshop on Lafayette. 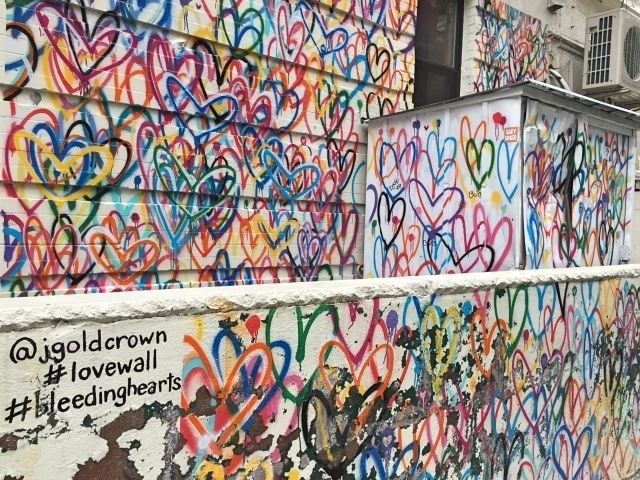 Another #bleedinghearts #lovewall by JGoldcrown. This one's on Mott Street. On the website of JGoldcrown you can find his other projects in NYC. 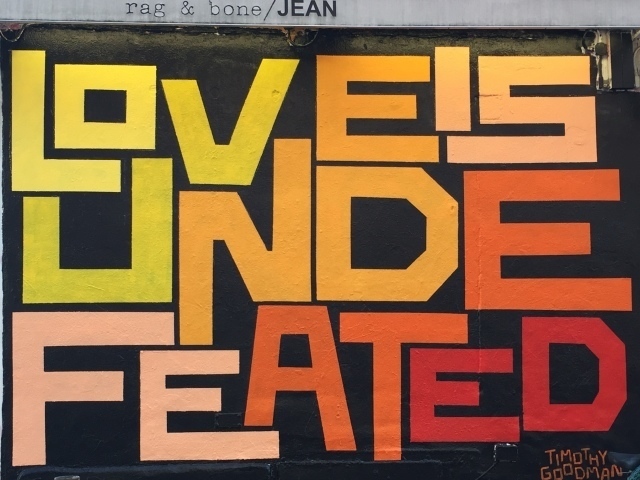 Love is Undefeated by Timothy Goodman. I spotted it in the Lower East Side on Elizabeth Street near Houston. 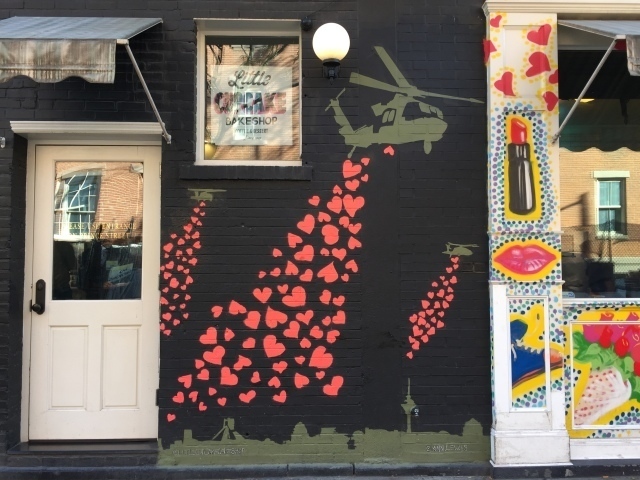 Ann Lewis painted these helicopters dropping love onto the world outside of the Litte Cupcake Bakeshop, on the corner of Mott and Prince Street. 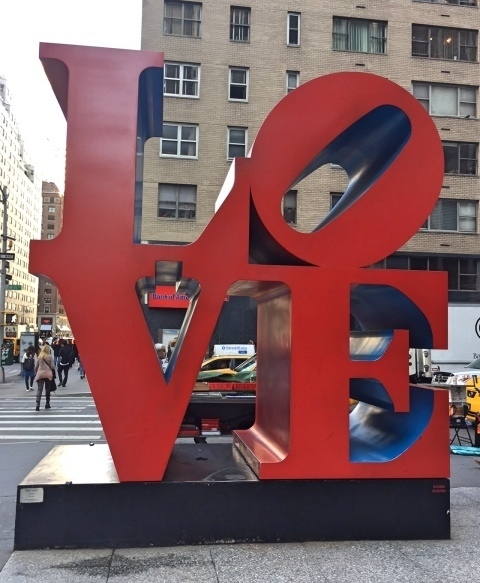 There are always people waiting in line to make a selfie in front of the iconic LOVE Sculpture by Robert Indiana on West 55th and 6th Avenue. Just a short stroll from the Burger Joint at the Parker Meridien hotel. Robert Indiana also has another famous sculpture nearby; the HOPE sculpture. That's on West 53rd and 7th Avenue. 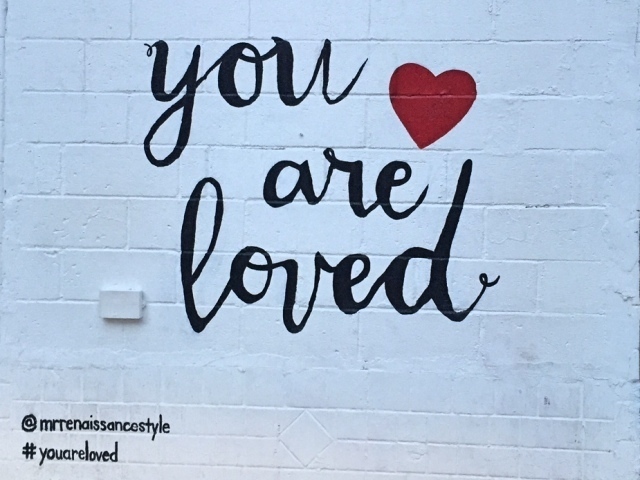 mrrenaissancestyle made this #youareloved mural on Mulberry Street. Hektad and Adamdare made this cuty on the Bowery. This mural by Nick Walker is on the outside of "Osteria" on Lafayette. A good place to eat if you like Italian food. Would you like to check out more murals? 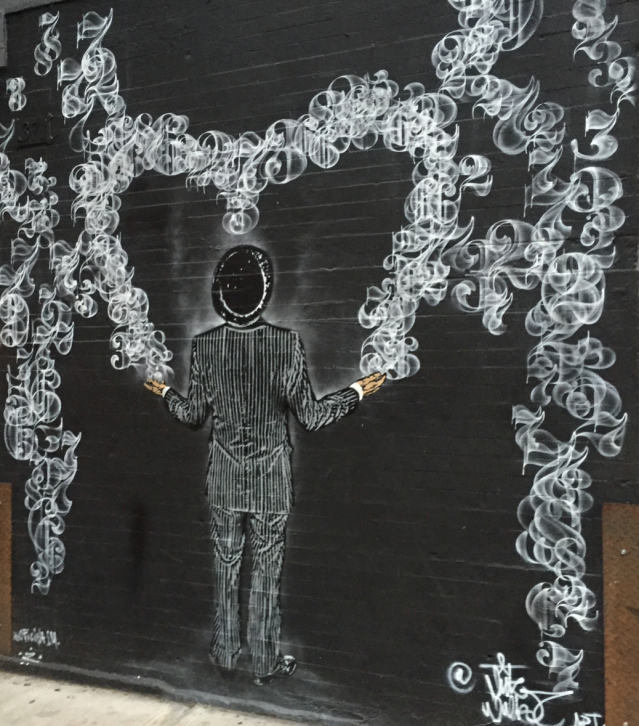 Take a look at our streetart tours (a run through the Lower East Side or guided tour through Bushwick). Or why not surprise your sweetheart (or yourself) with a trip to NYC and go see them yourself. Find a good deal here, book your flight and hotel and let us help you prepare. Send us an email (info@newyorkcitytrippers.com). We'd love to hear from you!